Itzchak Tarkay was born in Sabotica on the Ugoslav/Hungarian border in 1935. At age 9, he was sent to Mathausen concentration camp. He and his family finally migrated to Israel in 1949. In 1951, he received a scholarship to the Bezalel Art Academy. Tarkay has become one of the most famous and popular figurative artists of our time, inspired by the art of Toulouse-Lautrec and Matise. Itzchak. 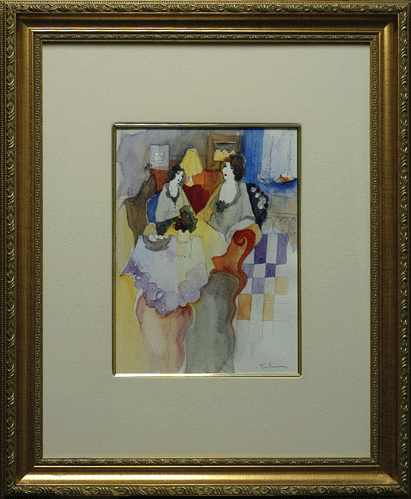 Tarkay has gained world recognition and is a well listed artist with extensive auction records. He is also an accomplished sculptor. His art makes a wonderful addition to any art collection. Certificate of authenticity provided.